After reading through Part I of our black and white series, you should know the basics of how to use the Channels panel to create a black and white image in Photoshop. If you enjoyed reading Part I, we would like to offer you a second helping of black and white tutorials. This time, we’re going the extra mile, giving you even more control over the black and white levels of your image. 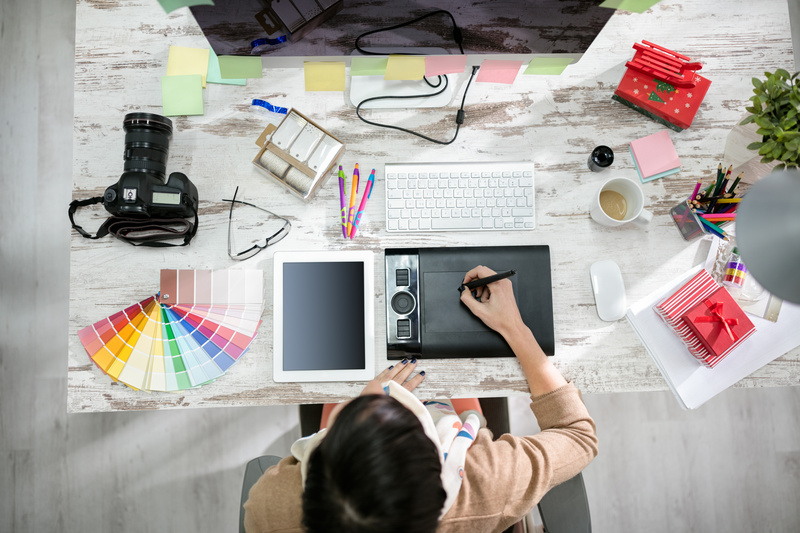 First, duplicate your black and white image as a new document. To do this, right-click on the respective channel that remains visible in the Channels panel and select the Duplicate Channel option in the menu. Click on the ‘New’ option from the Destination box in the Duplicate Channel window (see the above image for reference). This will open your black and white image as a new document. It’s important to remember that this image will open as an RGB image. 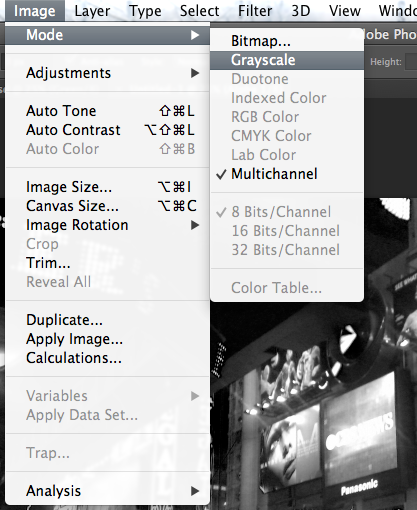 But, you need it to be in grayscale to adjust the dark and light values of your image. 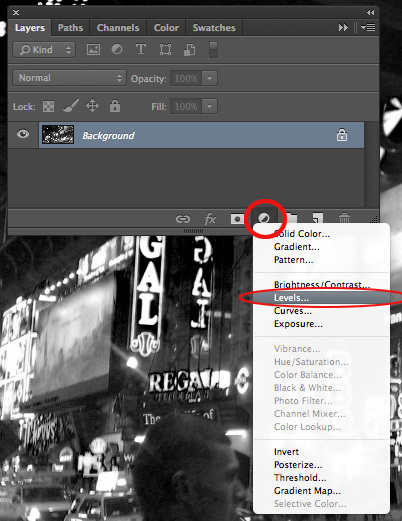 To do this, go to Image > Mode > Grayscale in the top navigation of Photoshop. Use the screenshot below as a reference. Now it’s time for something really fancy. Click on the “half-moon” icon at the bottom of the Layers palette. 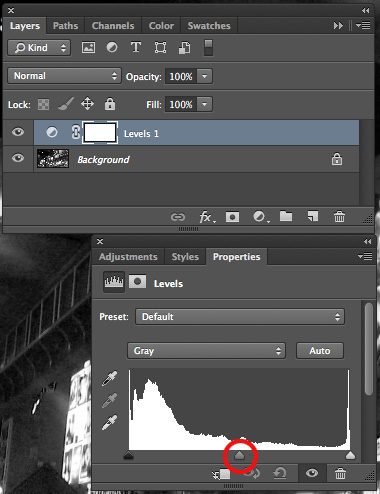 From here, select the “Levels…” adjustment layer. This will open a panel that looks like the silhouette of a mountain range. This is a histogram. Using this, you can optimize the dark and light points of your image to bring out the black and whites even more. The histogram includes three sliders: black, white and mid-tone. You can experiment with these three sliders to change contrast of light and dark values of your image. 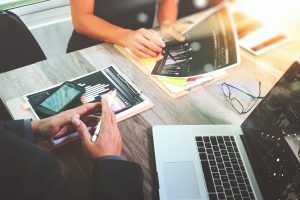 The trick for the black and white sliders is to place the slider directly under where the histogram shows values, as opposed to leaving them in their far-left and far-right corners, respectively. Note: If the sliders already rest under good points in the histogram, just leave them be, as they’re already optimizing your black and/or white values. Last but not least, the midtone slider can help adjust the dark and bright levels if your prior adjustments did not render the desired results, drag the slider the right to darken the image, or drag left to lighten things up.